CBRE National Director Investments, Mark Wizel, said there was no doubt that some of the investment funds had come from China via family links, as well as money that had already been transferred here, among other sources, however it was impossible to put a precise figure on just how significant the offshore component had been. “There is absolutely no doubt that Chinese off-shore investment has declined significantly over the last 12 to 18 months but it now seems clear that Chinese money has begun to flow again and particularly within the sub $100 million market. How significant that is we will see over coming months, particularly towards the end of the year and into the new year with the conclusion of transactions. Mr Wizel said one key motivating factor had been the recent fall in the value of the Australian dollar while the decline in residential property clearance rates had also had a positive effect on Chinese buyer confidence in commercial property investment opportunities. “The fall in the Australian dollar – to a 20 month low earlier this month – has without doubt been a motivating factor for Chinese buyers. Should the dollar fall further, and that may well occur as the US currency continues to strengthen, we are likely to see a greater level of activity financed by offshore money,’’ he said. 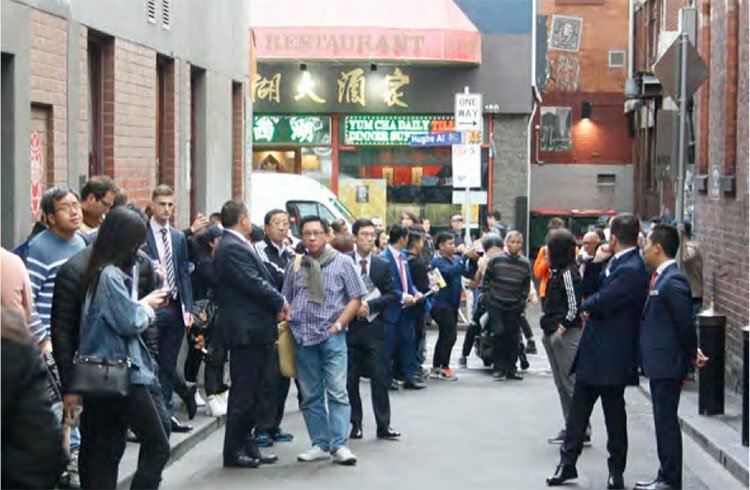 Mr Wizel said Chinese buyer confidence in Melbourne remained at a reasonably high level and that there was greater concern over how to get monies out of China than the state of the Victorian commercial property market. CBRE’s National Director Asian Services Desk, Lewis Tong, said the last few months had seen an increasing number of owners, who were committed to selling their assets, prepared to offer more attractive terms to find buyers. 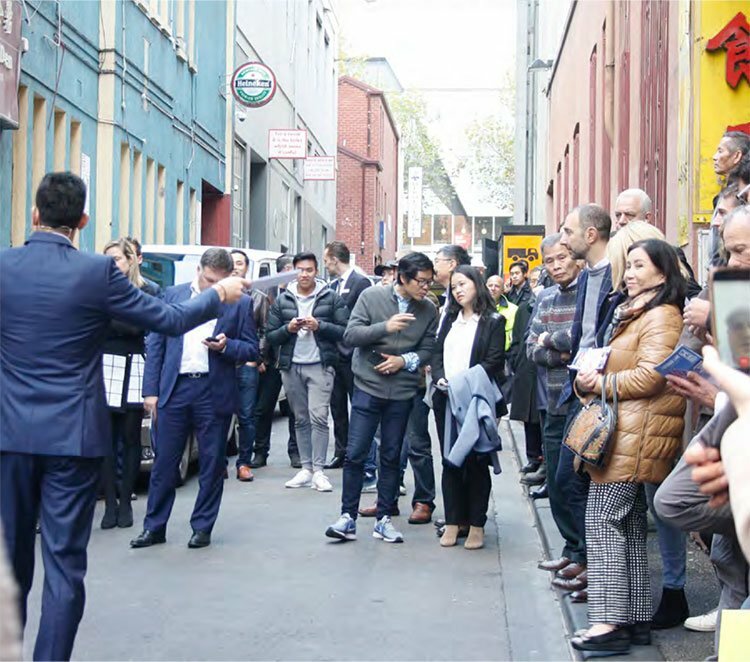 “For the first time in close to five years vendors are looking at longer settlement periods in order to attract Chinese buyers and this, along with Chinese buyers growing sophistication about the Melbourne market, is driving sales of a wider range of assets. “Chinese buyers are not just seeking development sites now and we’ve seen this with the purchase of a number of different properties, particularly retail assets offering future development upside. So while their view of potential purchases has broadened, underlying land value remains an important consideration,’’ Mr Tong said. having recognised a window of opportunity in a less crowded market place. “That opportunity has driven the formation of syndicates and a range of family alliances, based both in Australia and overseas, to acquire larger properties than had hitherto been the case. “One door closes, another one opens,’’ Mr Tong said.